At last July’sWine, Women & Shoes fundraising event in Coeur d’Alene, IYR clinician Amanda Smith shared an amazing story with hundreds of generous guests, all gathered to support promising futures for Idaho kids and families. With her permission we're glad to have the opportunity to share this story with you. The story is true, but we've changed the hero's name to protect his privacy. When we opened our new IYR thrift store in Middleton in June 2013, we launched an annual community support program called “Middleton Kids Week.” Every day during the third week in June, the Idaho Youth Ranch Middleton store donates 20% of that day’s sales to a different local youth organization. There’s a new vehicle parked in the lot at our Boise distribution center, but it doesn’t belong to the Idaho Youth Ranch. You might say we’re “fostering” it here; keeping it safe and sheltered until it’s called into service for some very special children. In May, Fred Meyer in Boise graciously donated gift cards for us to use as a matching opportunity for the “Call to the Heart” portion of our Wine, Women & Shoes fundraiser. For every donation our WWS guests made at the $50 level, the Fred Meyer (Franklin Store) donated a $50 gift card for Idaho Youth Ranch clients to use. The store provided $2,500 worth of gift cards as well as 440 long-stemmed white roses--one for each Wine, Women & Shoes guest to take home. 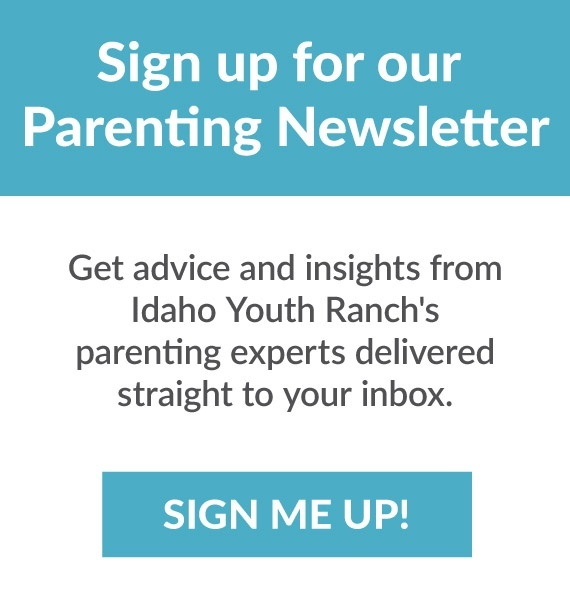 Here it is- the Spring 2015 issue of The Maverick newsletter, full of success stories about Idaho kids and families whose lives have changed for the better, thanks to your generous support. Wine Women & Shoes is right around the corner--coming up on Friday, May 8! And thanks to some very generous donors, we have some amazing live auction lots our lucky guests will be bidding on. And the best part? Every dollar spent at Wine Women & Shoes goes to help a child in need. Christmas was made a lot brighter this year for Idaho kids and families, thanks to the many big-hearted people and businesses behind IYR’s annual “Giving Tree” gift drive.